Turns out we aren’t the only ones who can’t get enough of CertainTeed’s full range of vinyl siding and fence products! 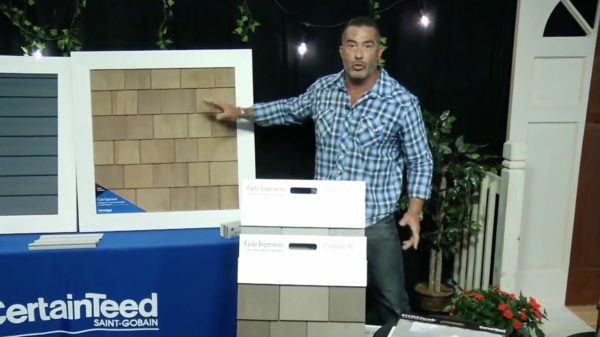 Following the success of our Fox & Friends segment in May that was viewed by more than 4.3 million viewers, home improvement expert and television personality Skip Bedell reached out to request CertainTeed partner with him on his most recent TV news bonanza: a satellite media tour that involved hosting 29 television interviews with stations across the country in a single morning. Between the hours of 8 a.m. and 1 p.m. ET on June 29, Bedell offered viewers in markets spanning Denver to Buffalo tips for improving their home’s curb appeal with the help of CertainTeed’s fence and siding lines. 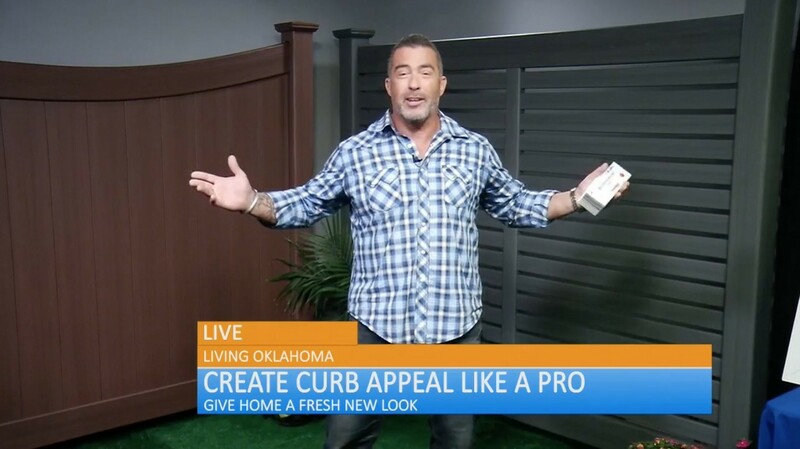 On each segment, hosts were able to interview Bedell for five to ten minutes about projects relating to curb appeal and how to begin the process of updating a home’s exterior look. In demonstrating how to enhance a home’s curb appeal, Bedell highlighted several CertainTeed products, including vinyl siding options – like realistic Cedar Impressions® Individual 5” Sawmill Shingles with CedarLife™ Color Blends and STONEfaçade™ Architectural Stone Cladding System with the industry’s first fully integrated rainscreen – and long-lasting fence solutions such as Bufftech® Breezewood Select Cedar Texture semi-private horizontal fence. Bedell highlighted the simplicity of choosing siding and fence products that have the look and feel of wood without the costly and time-consuming maintenance that real wood panels require. Not to mention that CertainTeed also offers more than 40 siding colors and an array of style options to meet the needs of a diverse group of homeowners. Whether your customers are searching for a realistic cedar shingle, durable stone veneer siding that provides the same aesthetics of hand-picked natural stone, or a fence that stands the test of time, CertainTeed is proud to offer a wide array of choices for creating an eye-catching and long-lasting exterior look. For more information about CertainTeed siding and fence products, contact your local territory manager or call 800-233-8990.